Every now and then, a truly special property becomes available, however, to call 501 Montgomery Road special is an understatement, as this home is nothing short of extraordinary. Likely you have passed this house over the years and watched the transformation with intense curiosity, as I have. Prior to the multi-year (re)construction, I hadn’t taken notice of the home, as it was a basic brick ranch, fairly standard for our area. In 2011 major changes commenced and I found myself going out of my way at times to drive by and check the progress. You can imagine my excitement when I was recently invited to visit. 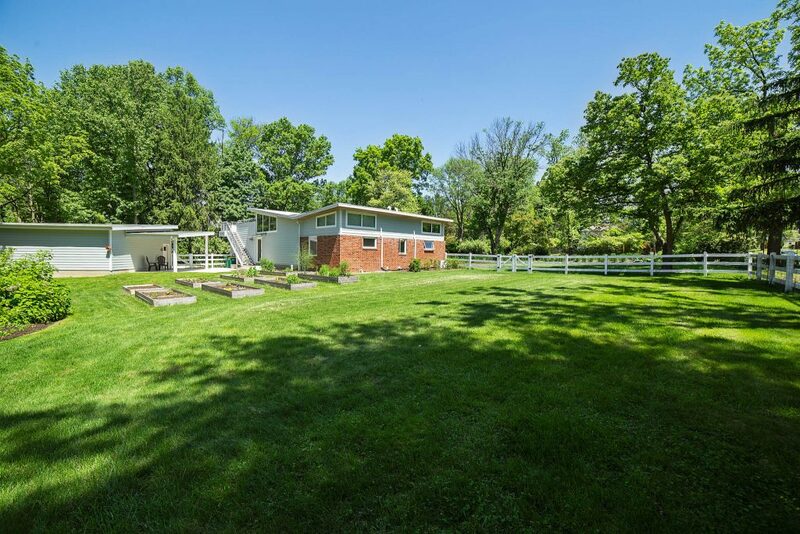 When the current owners purchased this property it was a small ranch home with only two bedrooms and one bath, offering a little more than 1,000 square feet. 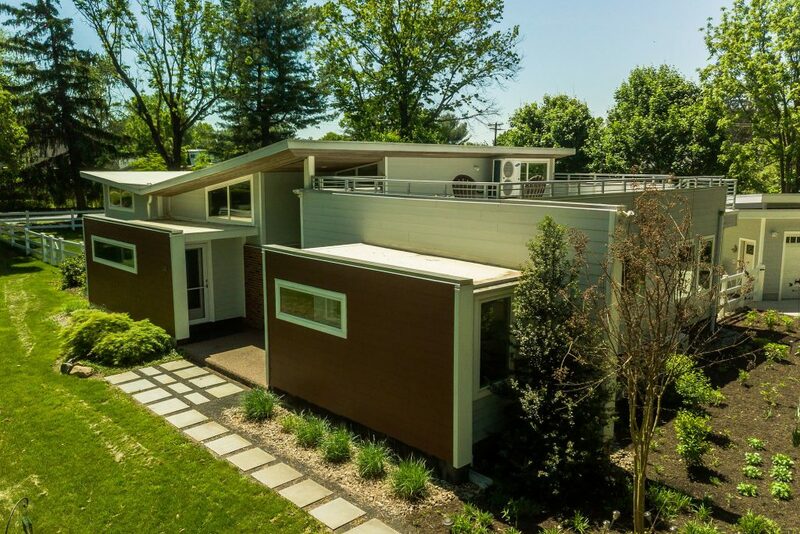 Today, you will find 4 bedrooms, 3 full baths and 2,236 square feet of exquisite living space housed in beautiful mid-century modern design. The work that has been done is far beyond a renovation, it truly is a work of art. 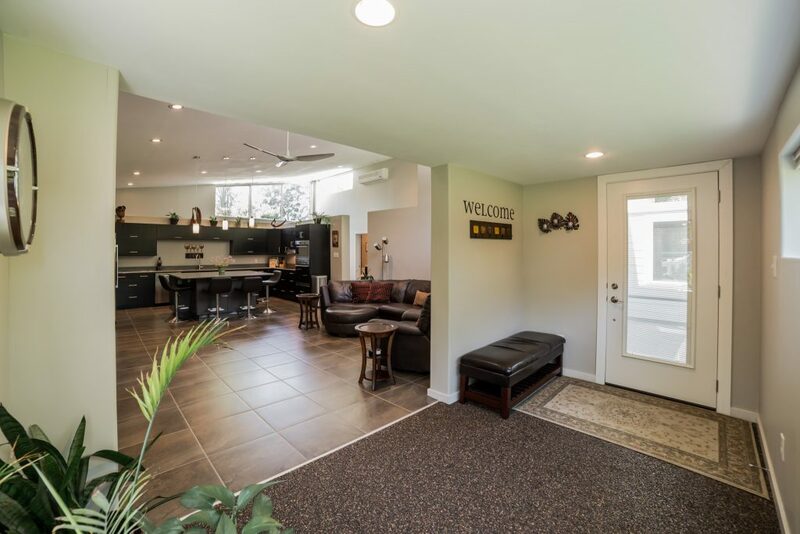 The addition includes two bedroom suites, a large hallway, and foyer. 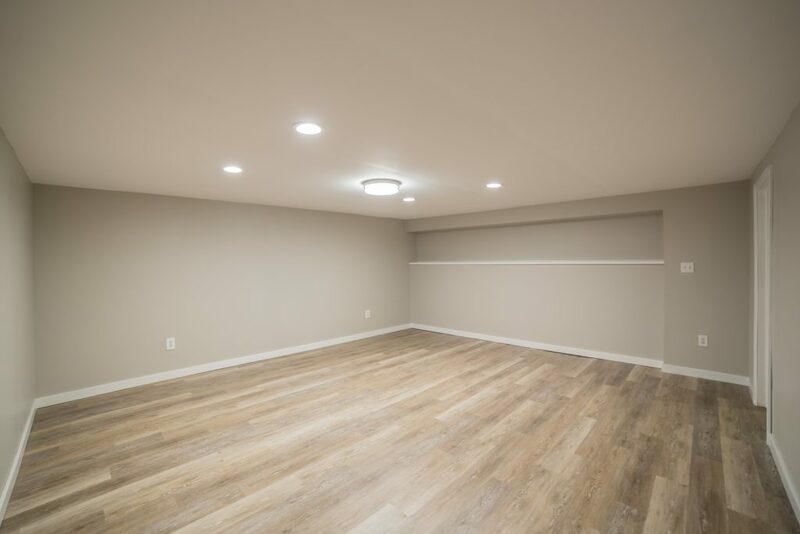 A full basement was created under the addition and a roof deck was added above. 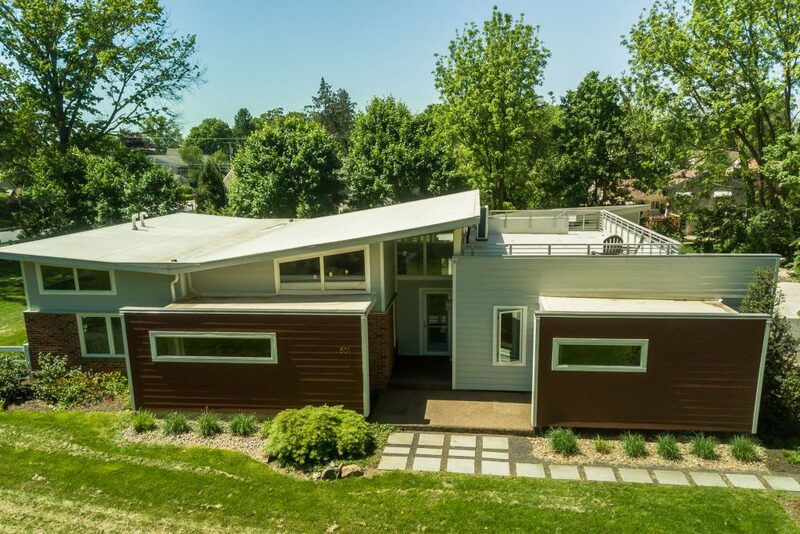 As far as the original structure, very little of it remains, as essentially everything was replaced, including all drywall, trim, insulation, flooring, windows, roof, and all mechanicals. That said, there is one thing that was left as an homage to the original home, I’ll let you find out what it is. 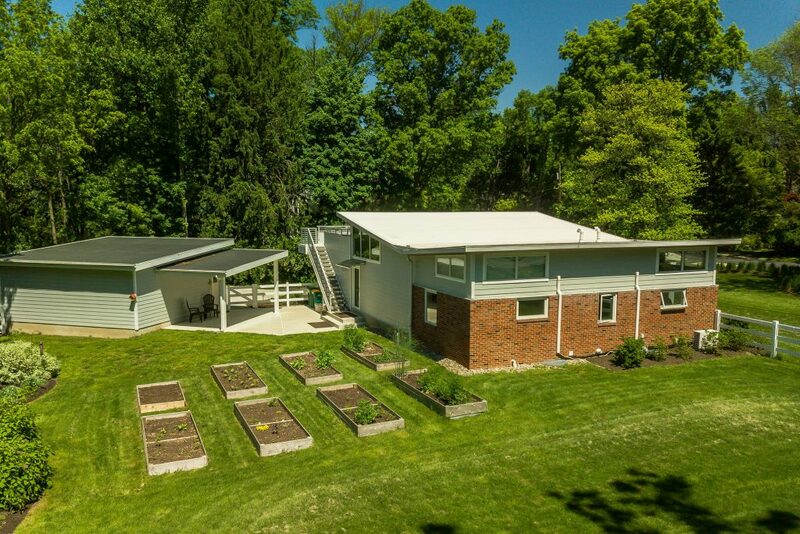 Not only has this home been rebuilt and built anew, but it was done using green infrastructure throughout, a rarity in and of itself. 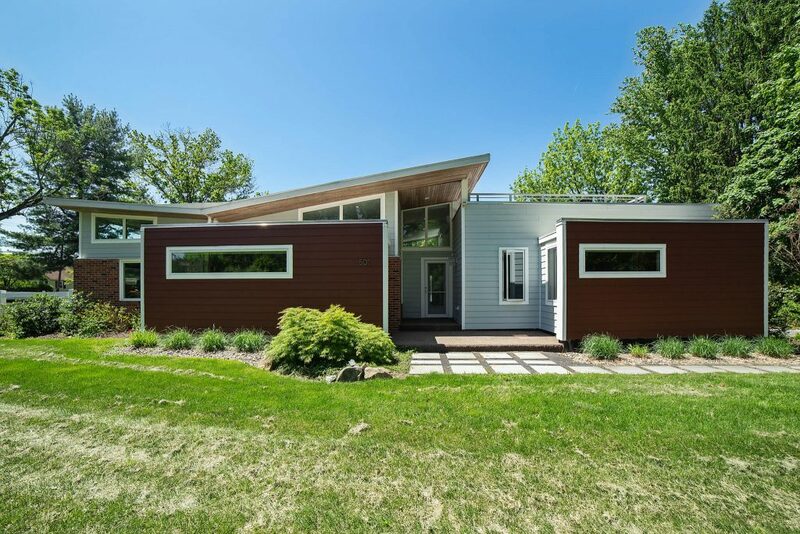 True to mid-century modern design, the home features clean lines and geometric forms, which truly distinguish this home from all others in the area. The use of traditional and non-traditional materials both inside and out, as well as the form following function design, speak to the homes timeless and refined style. 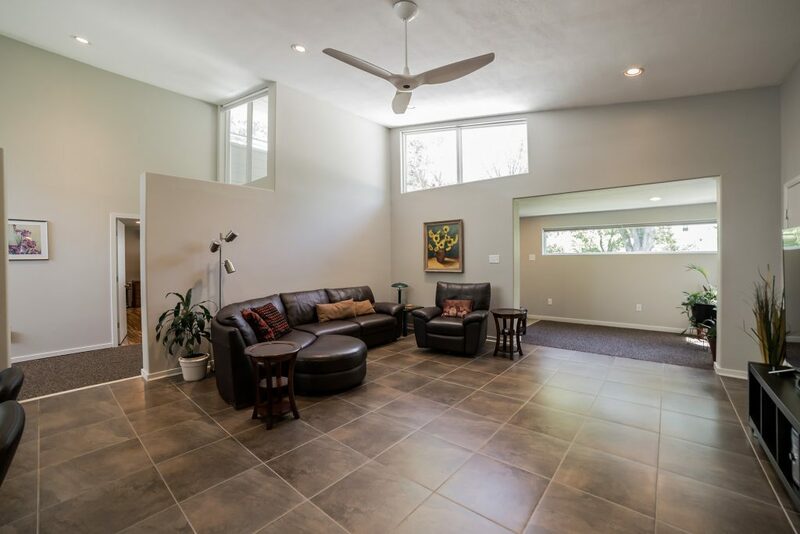 Your first glimpse into the home is a spacious foyer with lovely windows and unique Sierra Stone flooring. 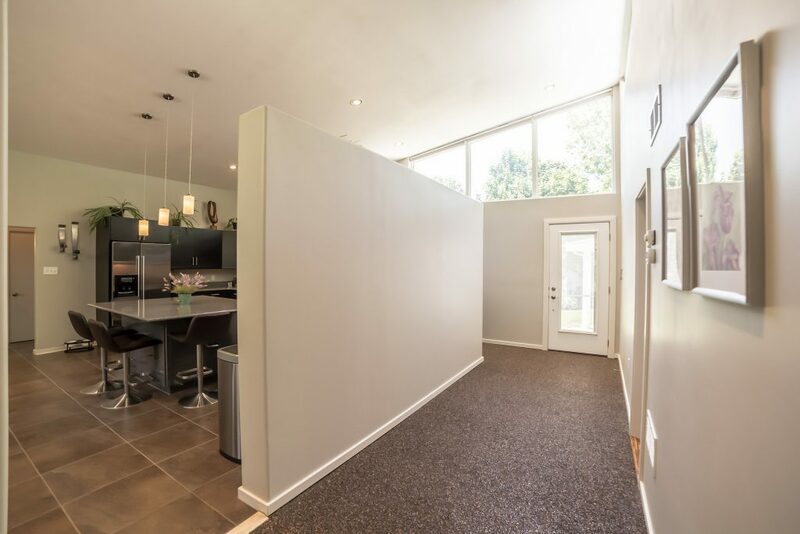 Through the foyer is the heart of the home, one magnificent room that is open from the living room straight through to the kitchen, boasting soaring ceilings and clerestory windows. 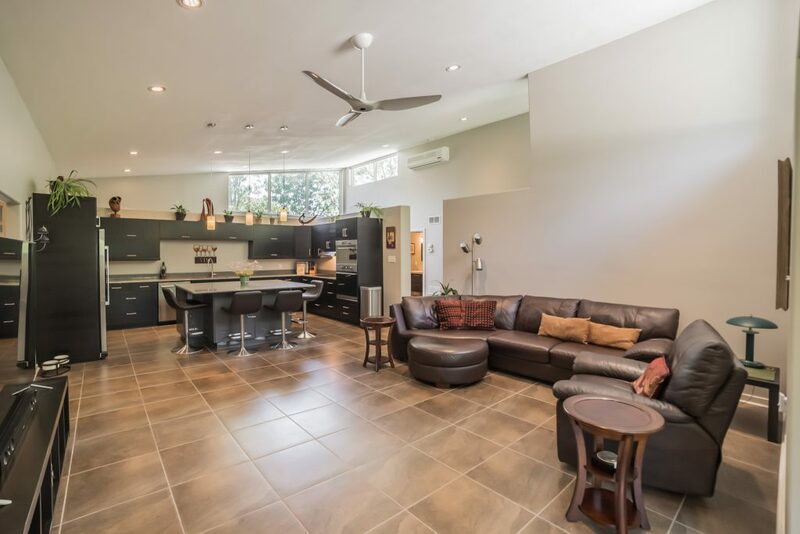 This space allows for several different configurations, however, currently the 6’x5’ island serves as a fantastic place for dining and the rest of the room is used as a living room and seating area. This setup is ideal for entertaining. 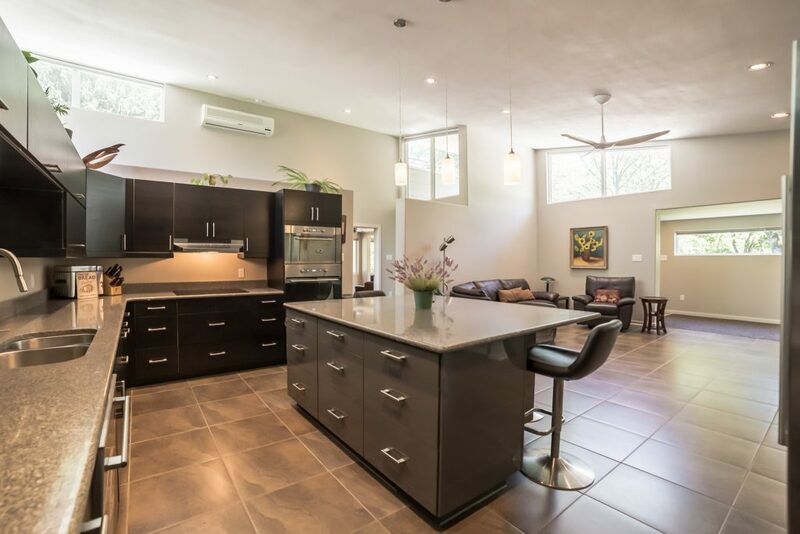 The kitchen can easily accommodate more than one cook and several guests all at the same time. 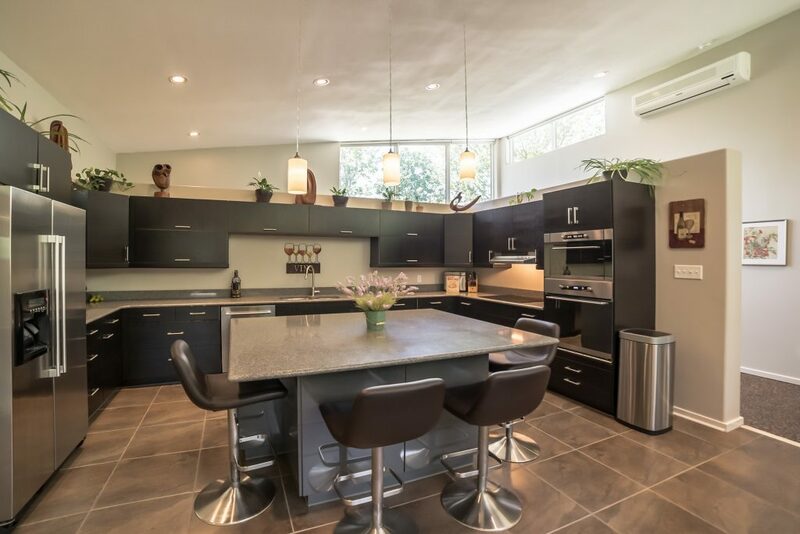 The counter space is expansive and the amount of storage seems endless. 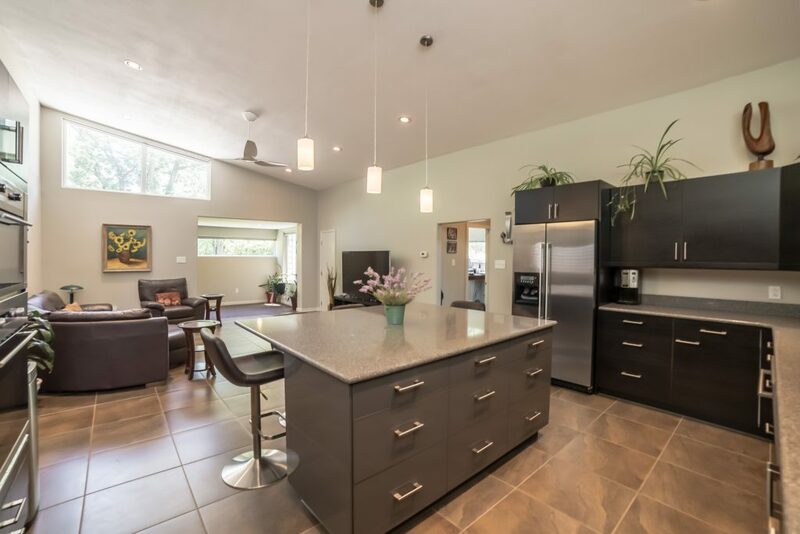 The stainless steel appliances are well laid out, creating a comfortable workflow. 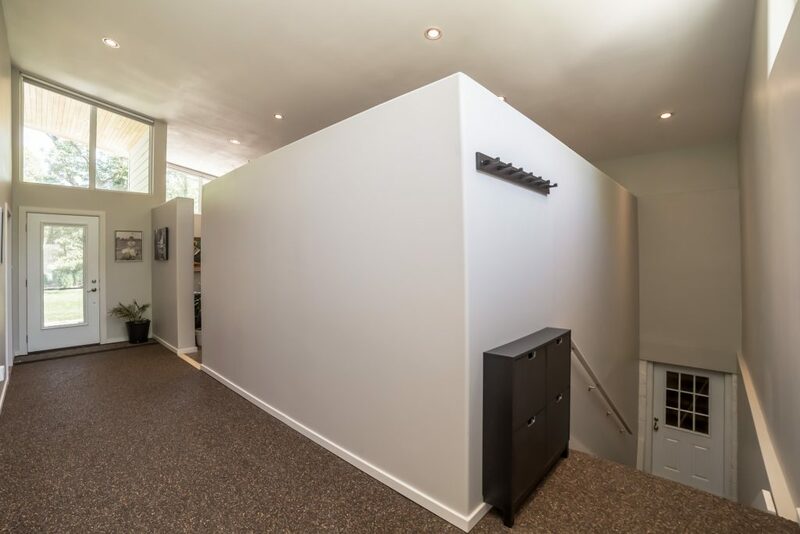 When I referred to this space as the heart of the home, it was not entirely figurative, as it is flanked by two sets of bedrooms on either side. 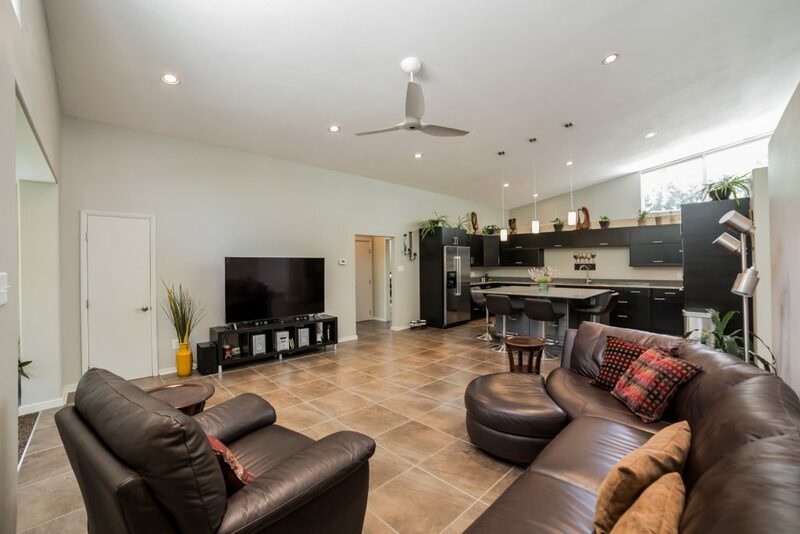 To your right, you’ll find a beautiful transition into the addition, a bright and spacious hallway that offers access to both the master suite and guest suite, as well as, exits to both the front and rear patios. You will again notice the Sierra Stone flooring in the hallway, which is carried out onto the front patio, creating a seamless sightline. 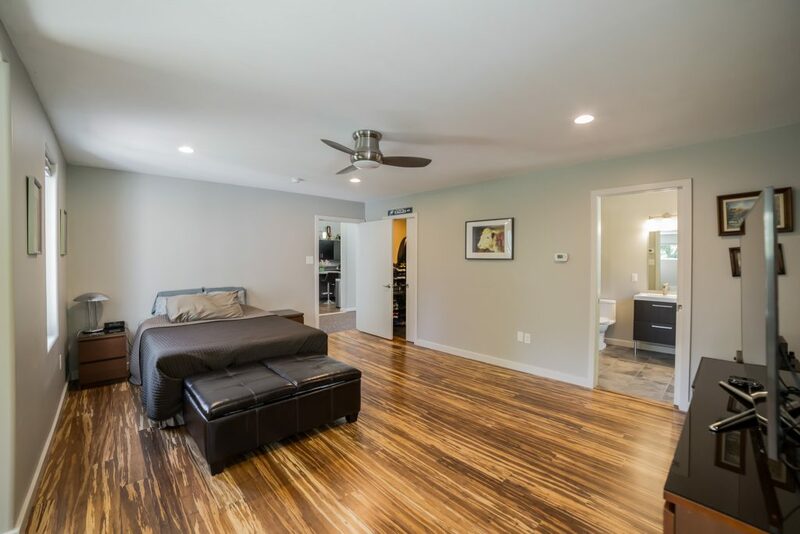 The master suite is a peaceful place offering a Zen-like sitting room, well appointed bathroom and walk-in closet. Small, thoughtful details, like pocket doors in all the right places, add to the harmonic functionality of this home. 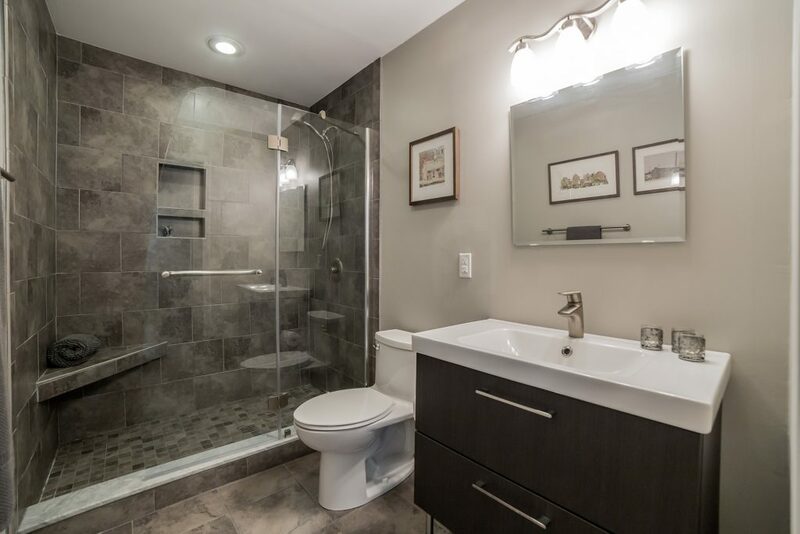 Down the hall is a private guest suite complete with its own full bath. 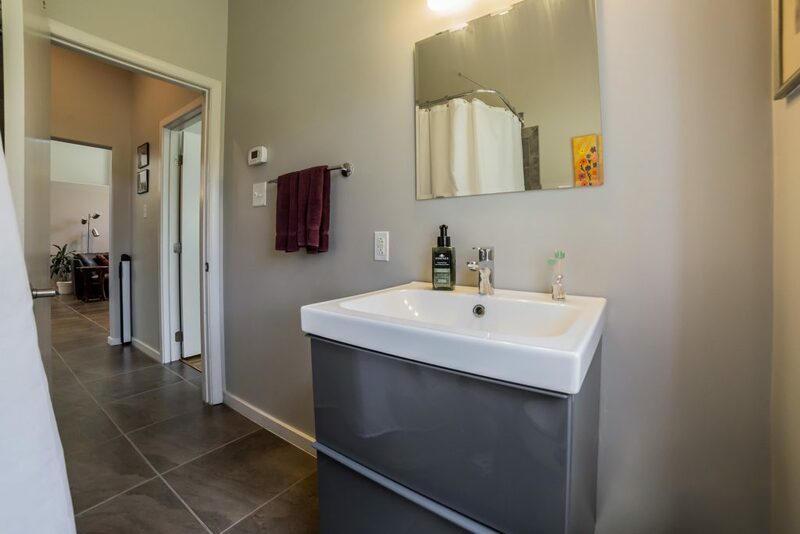 On the opposite side of the house, you will find two nicely sized bedrooms and a full hall bath. 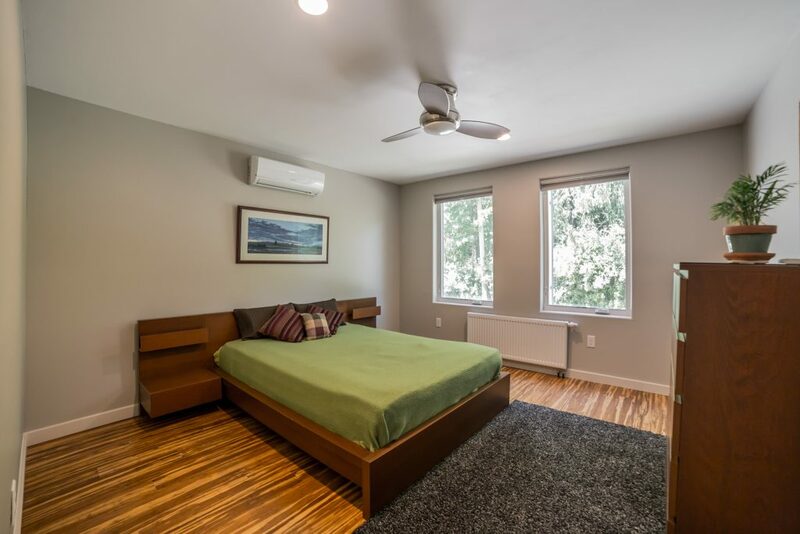 Although these bedrooms are part of the original footprint, the roof was configured to allow for clerestory windows in both spaces, creating a beautiful environment bathed in natural light. 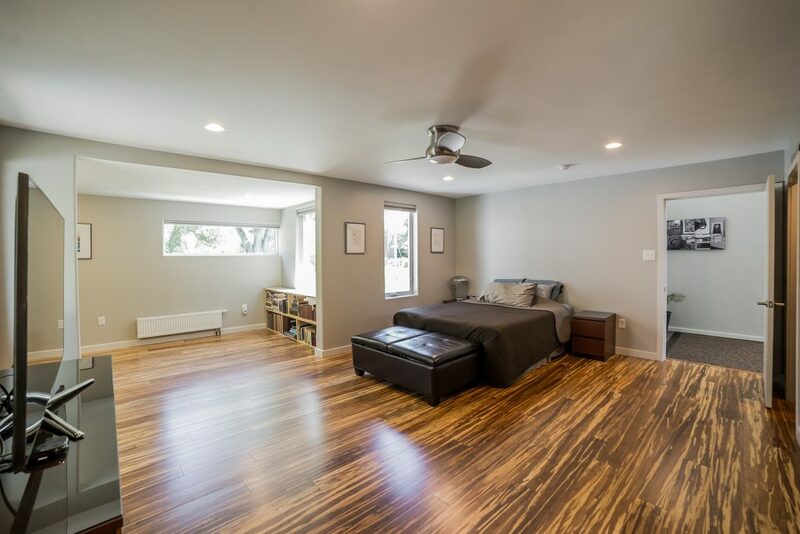 The flooring in all four bedrooms is made of bamboo, making it not only beautiful, but durable and sustainable. 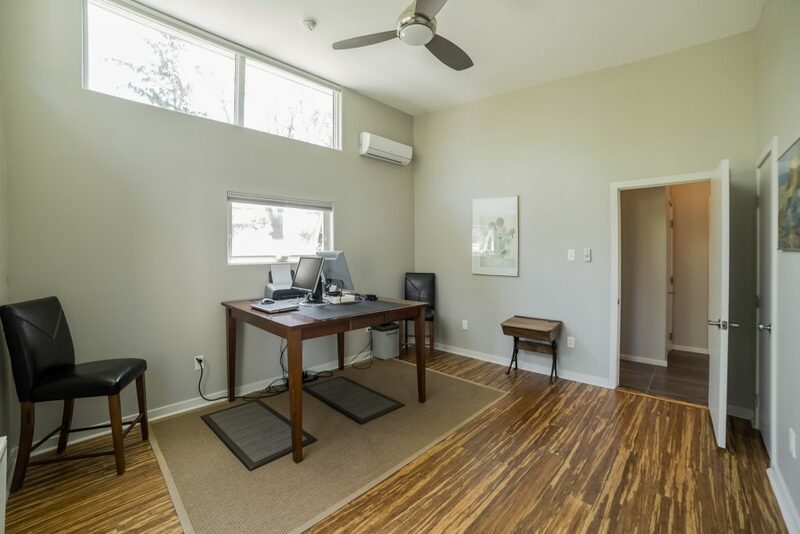 All rooms have ceiling fans and there are custom shades on every window, even the clerestory windows above have custom, remotely operated shades. Down below, the basement is vast. The first room houses the laundry area, an impressive mechanical setup, and storage space. Beyond that, you will find a finished room that was on it’s way to becoming a wine cellar, but now, that is up to you. 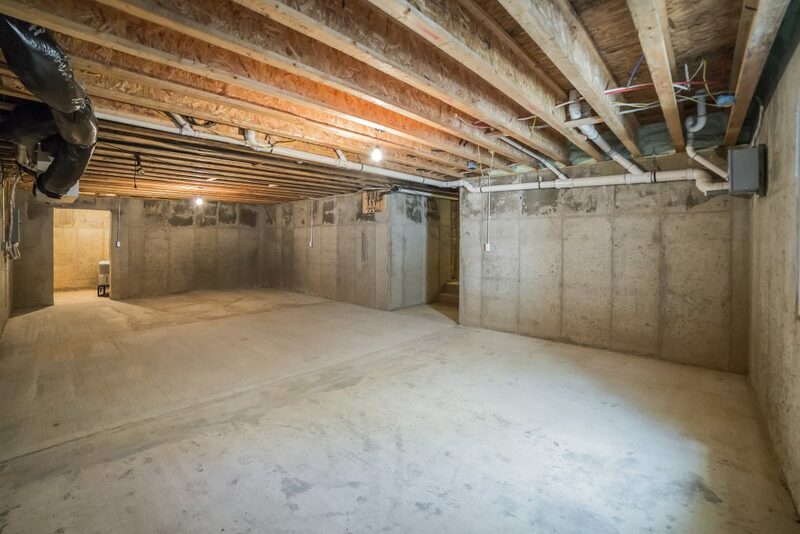 Further down you will find the “new” basement which is a huge, wide open space that is ready to become whatever your heart desires. There is already egress in place, so the sky is the limit! 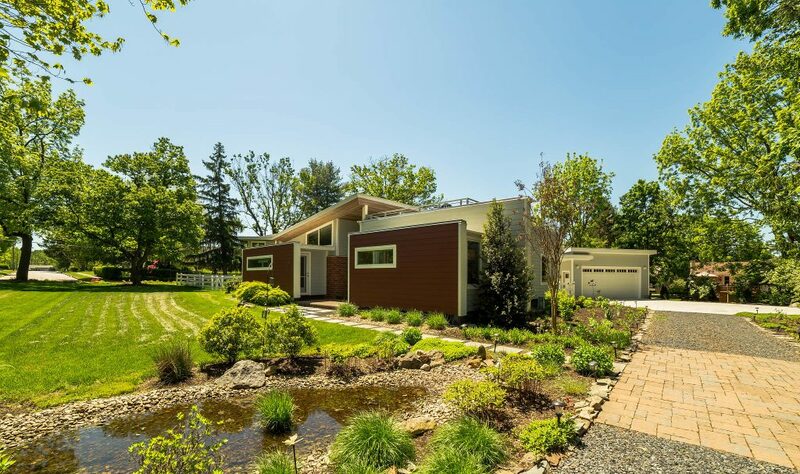 In terms of green infrastructure, many thoughtful systems were included in this home, offering you tangible benefits. 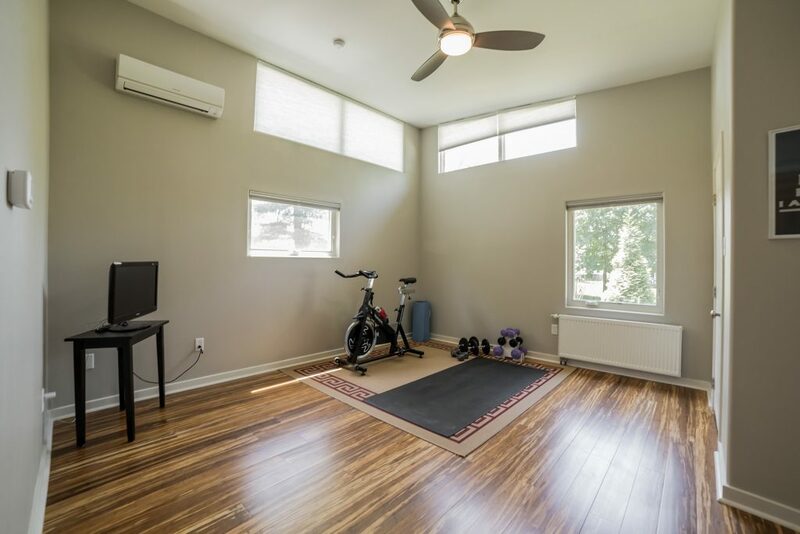 All four bedrooms, as well as, the main living space have their own separate zones of both heating and cooling, allowing for maximum comfort. 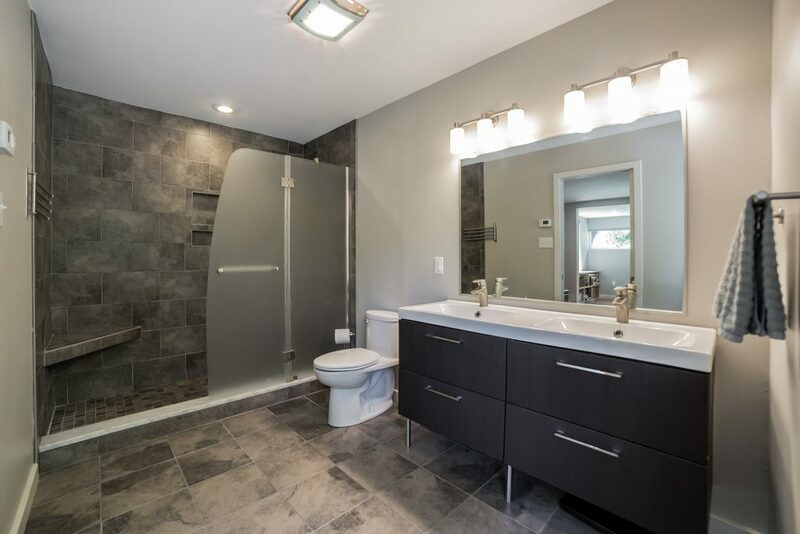 You will also be pleased to learn that much of the home offers radiant floor heating (everywhere there is tile or stone), which will become your new best friend in the winter. 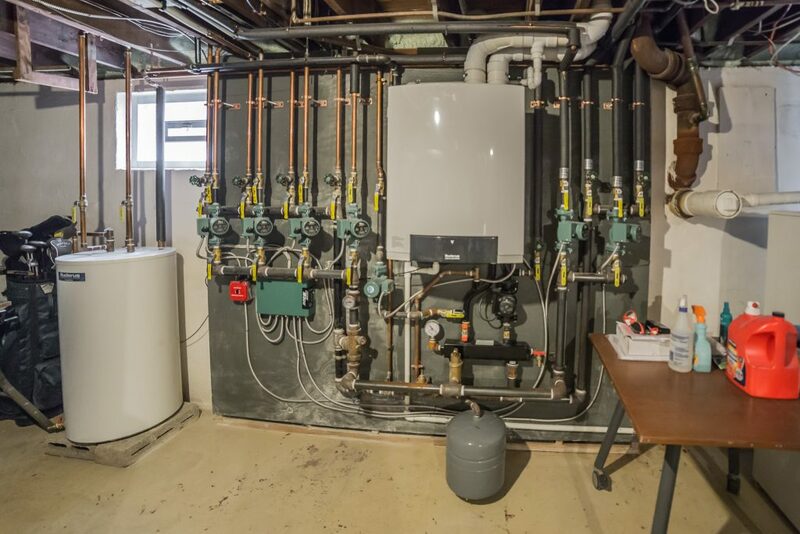 Closed cell foam insulation was used throughout and there is also an Energy Recovery Ventilator which improves indoor air quality and the efficiency of the heating and cooling systems. 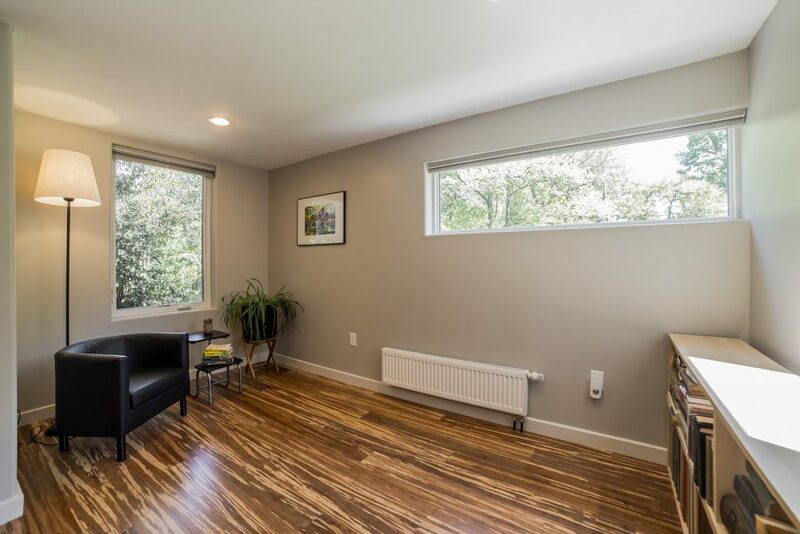 Only low or no VOC paint has been used in this home. The roof is constructed of white/cool roofing material which reflects more sunlight and absorbs significantly less heat than a standard roof. 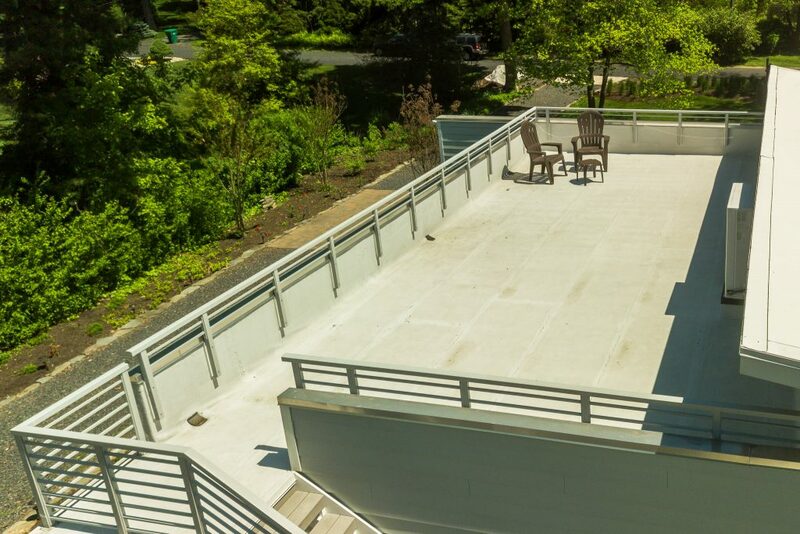 The roof over the addition currently serves as a fantastic roof deck (which must be the absolute best place to view the Wissahickon Fireworks! ), however, it was structurally engineered to sustain a green/living roof in the future, if one is so inclined. In addition to the roof deck, there are both front and rear patios. 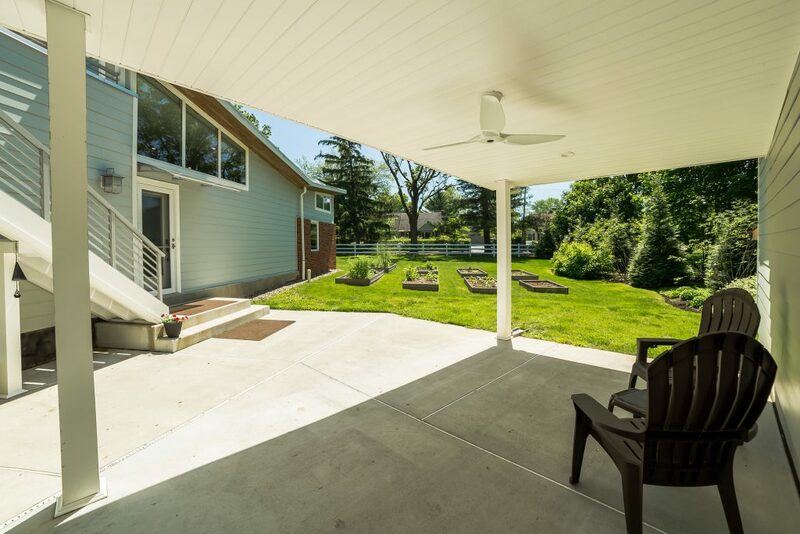 The covered rear patio features a ceiling fan and offers access to the oversized two car garage. 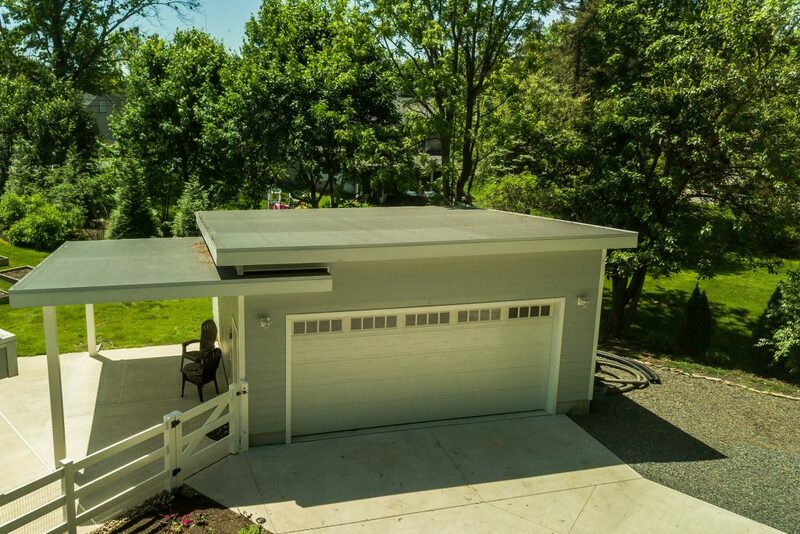 The garage offers enough room for two cars and plenty of toys. For those looking to take things to the next level in terms of solar power, the legwork has already been done for you. The garage was built in the proper position and with the proper roof pitch to accommodate solar panels, and the conduit has already been installed. 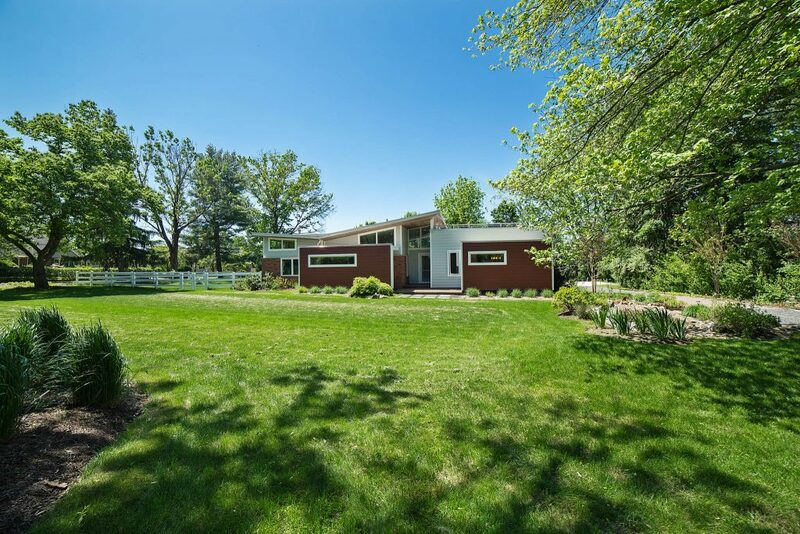 At just under an acre, the lot is absolutely beautiful and private. 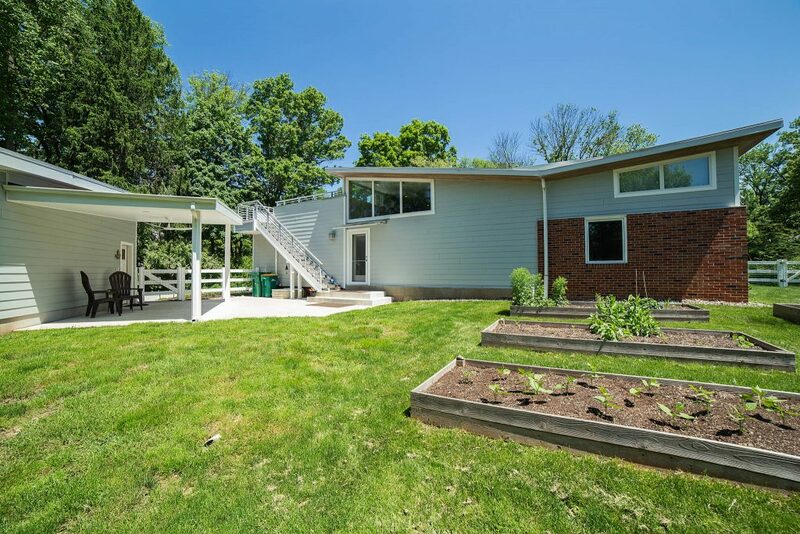 You will love the extensive native plantings, raised garden beds, and fenced in yard. Three dry wells and a rain garden were installed to mitigate stormwater runoff, contributing to the health of our Wissahickon Valley Watershed. 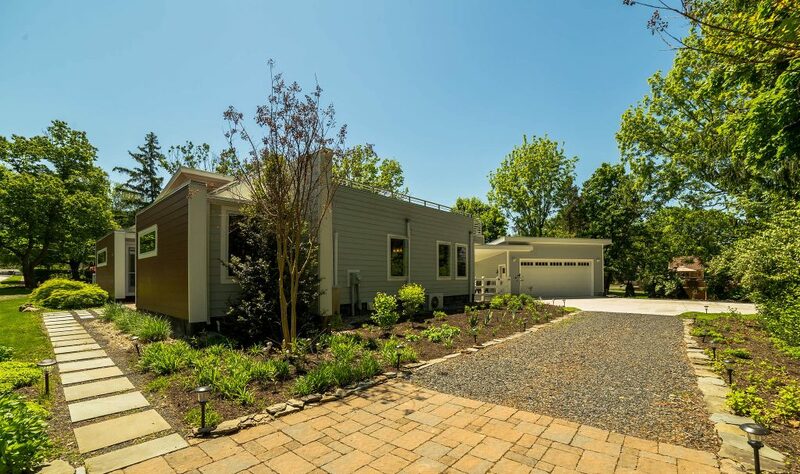 Located in Lower Gwynedd Township, just across the street from Ambler Borough, make this a walkable property for those who enjoy a nice stroll into town. Plenty of restaurants, pubs, and shopping await you, in addition to the theater, playhouse, fantastic annual festivals and seasonal farmers’ market. Don’t forget, there are also several lovely parks and access to the Green Ribbon Trail is just down the road. 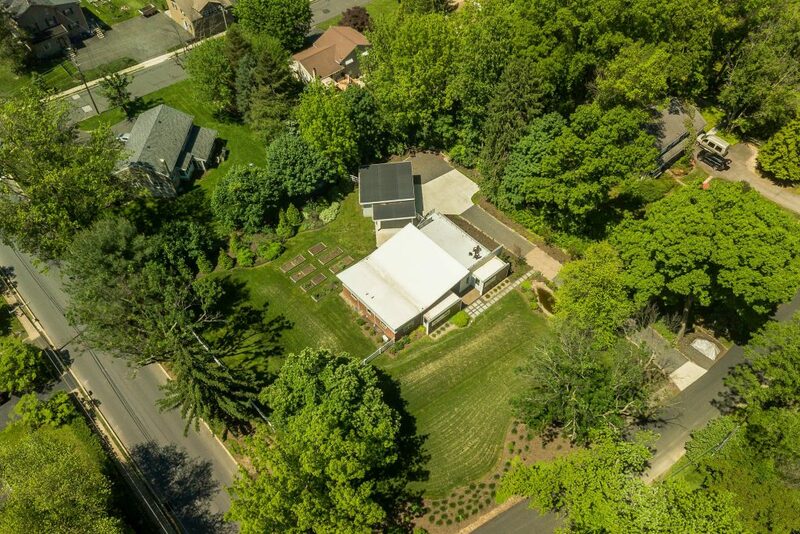 Served by one of the most sought after school districts in the area, Wissahickon High School, Middle School, and Lower Gwynedd Elementary all just around the corner. Last, but certainly not least, the taxes are phenomenal. I know, you are asking yourself, why would someone invest so much time, love and money into this home and then leave? Well, the answer is, they never intended to leave. 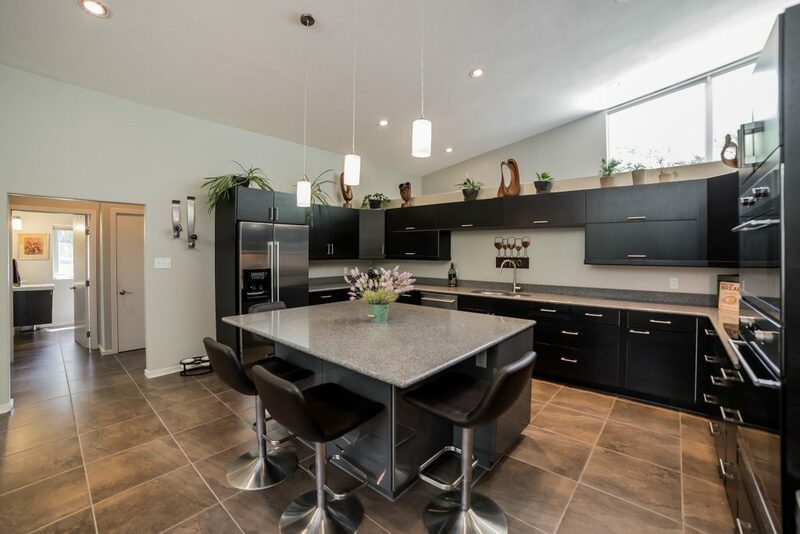 The owners did all of this for themselves, with the utmost care and respect for not only the home, but our environment; they spared absolutely no expense. Now, you have this incredibly rare opportunity to benefit from their efforts. In my career, I have never seen an opportunity to purchase a home such as this. This entry was posted on Friday, May 25th, 2018 at 7:07 pm and is filed under Real Estate. You can follow any responses to this entry through the RSS 2.0 feed. Both comments and pings are currently closed.